Whether or not you are suffering from sensitive teeth, always make a point to regularly visit your trusted dentist in Mernda. This keeps your teeth and gums in good condition and prevents the onset of any unwanted oral health problems. 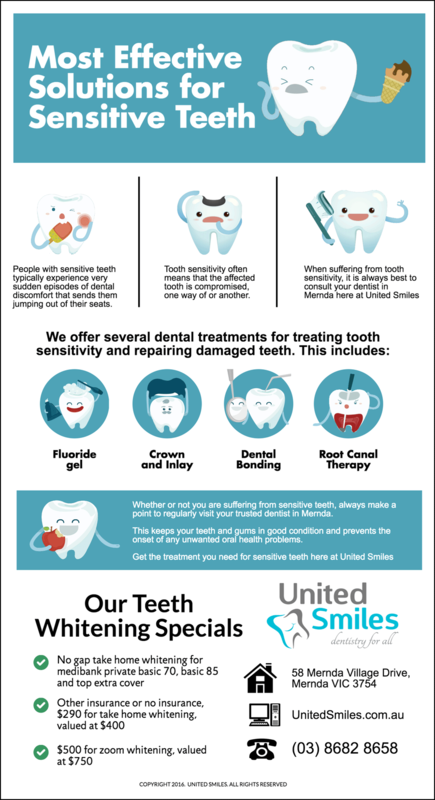 Get the treatment you need for sensitive teeth here at United Smiles. Contact us today!